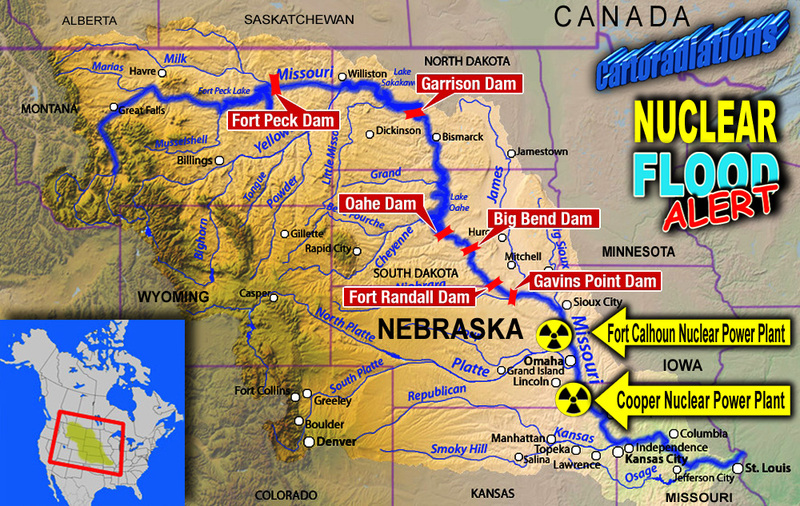 “...there is a possibility of failure at the Fort Peck Dam that could lead to a domino-like collapse of all five downstream dams in the Missouri River Mainstem Reservoir System. This video appears to have been censored. To hear the CBS interview of Bernard Shanks, an expert on the Missouri River reservoirs, click here. Another interview of Dr. Shanks on June 22 can be heard here. ST. LOUIS (KMOX) - An expert on Missouri River reservoirs is sounding a very loud, very urgent warning about the chance of catastrophic flooding this summer. Bernard Shanks, an adviser to the Resource Renewal Institute, says the Fort Peck Dam and five others along the Missouri are already full with the Army Corps of Engineers releasing record amounts of water to prepare for snow-melt and heavy rain up-river. I have seen at least one man who has studied the dams for decades raise concerns that the likelihood of Fort Peck, especially, experiencing a failure increases with its age. That’s hardly a surprise. Here is what Bernard Shanks, an adviser to the Resource Renewal Institute, wrote in St. Louis Today earlier this week. Needless to say, it created quite a stir. Years after Katrina and the New Orleans levee breaks, professional engineers and a federal court judge ruled theCorps of Engineers was to blame. How Safe are our Nuclear Reactors?